This is an old illustration from my undergraduate college days. I found it in a pile of old work in my study and thought it deserved to see the light of day one last time. I believe I used gouache paints and watercolors to create the illustration. I don’t think I even have any gouache paints anymore. Gouache is heavier and more opaque than watercolor. Back in college, gouache was the paint of choice for most of our instructors. This is my last spooky October illustration that I am posting in November. I started it on Friday and was just able to finish it, today. 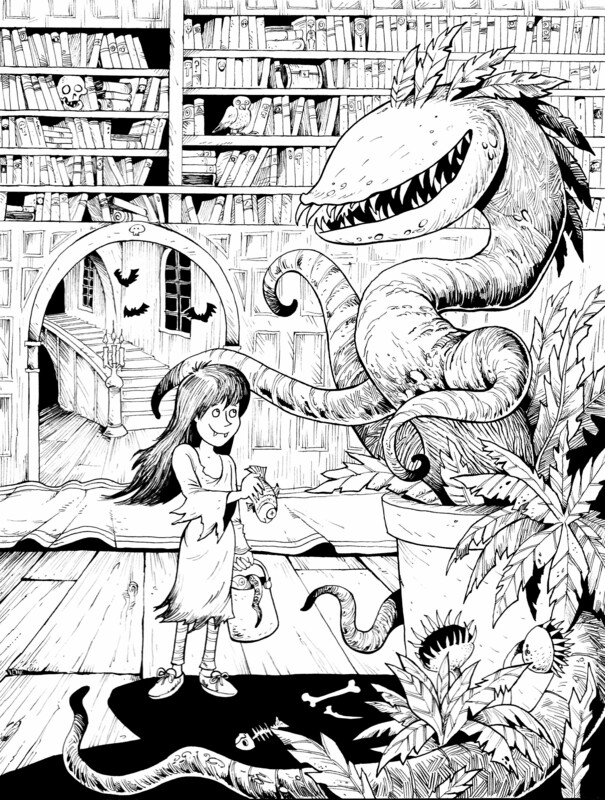 A vampire is feeding her growing house plant in her library. I used pen and ink for this illustration.